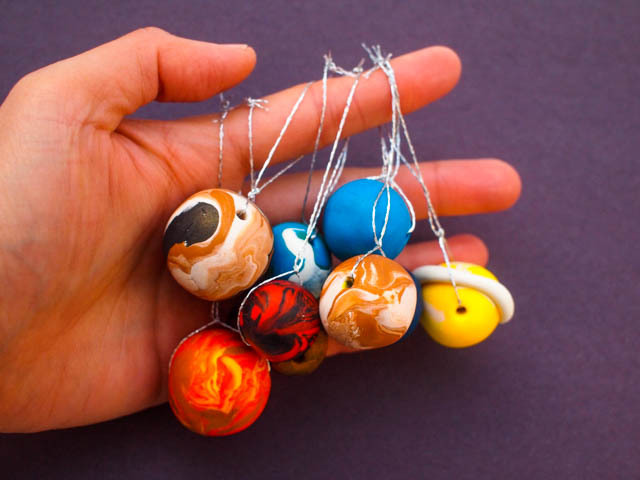 Awhile back I made these galaxy space beads out of Sculpey Clay. You can read the whole post, but I'll also just summarize it here. 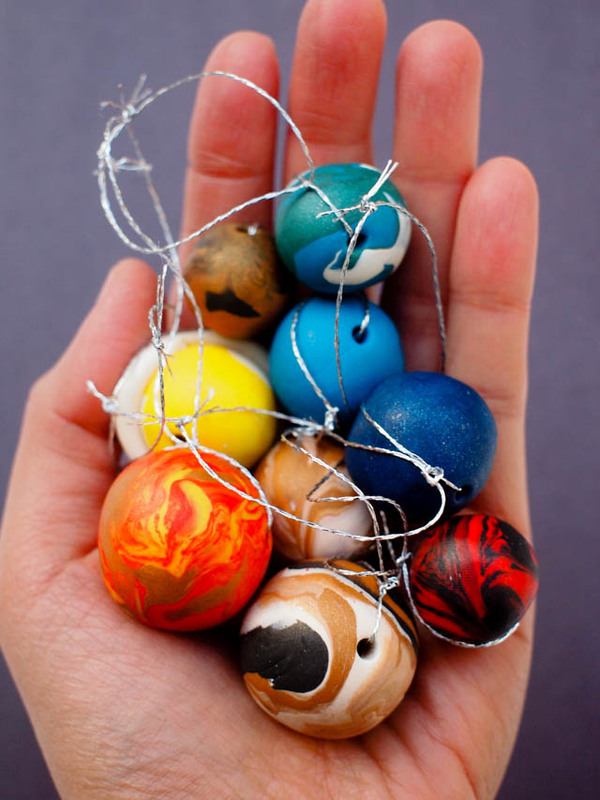 I took various colored Sculpey Clay pieces and mixed them together and rolled them into spheres. Then, I took a skewer and pierced them through. Then, I baked them according to the package's directions. 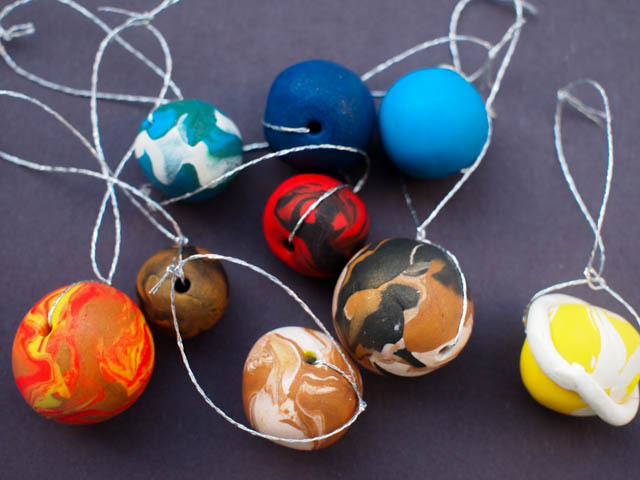 So I cut apart the necklace (sob), but then transformed the beads into ornaments using some pretty silver string. And I also love how all the planets are hiding in plain sight on our tree. 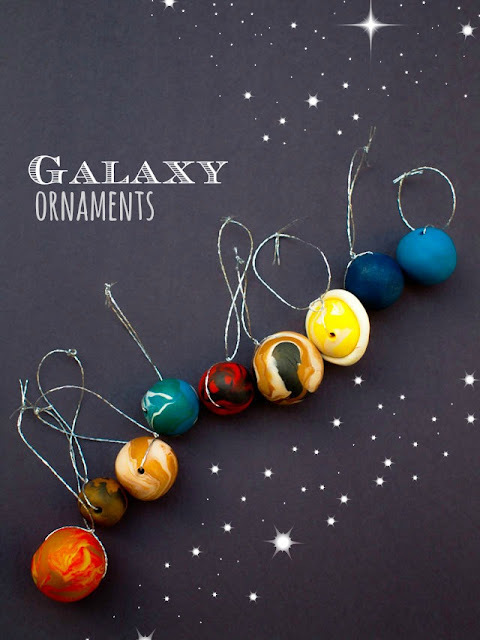 If you're looking for more space themed crafts, check out these ideas below!